Who knew about mince pies? Probably many people, but not me. Jonathan has always been crazy about them and living in England, I, too, learned to love them. Not that they're hard to love, just a bit of an adult acquired taste, I think. 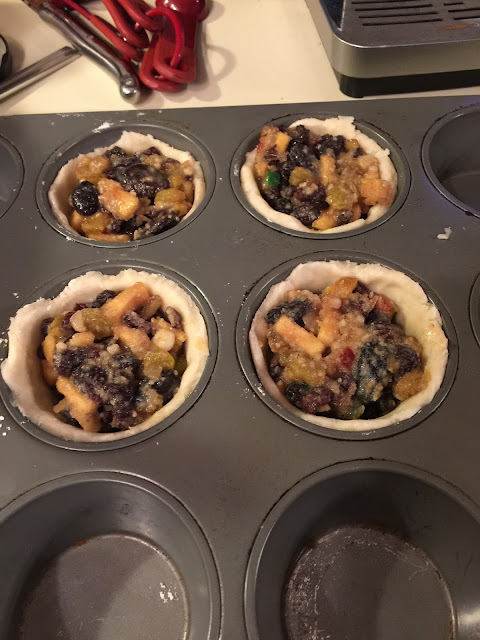 They're filled with raisins, currents, sultanas, apple, mixed citrus peel, suet (yes, suet!) and lashings of lovely booze. 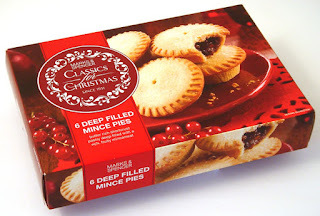 After moving back to the USA, I would bring back boxes of them from Marks and Spencer. Mmm, so lovely and tasty in their neat little tin pie pans, a wonderful little Christmas delight, smelling and tasting of the holidays. But Jonathan didn't go to the UK just before Christmas this year, so I got to thinking, I just need to make my own this year. And so I did. And so on to another culinary adventure, and after much research and recipe searching, I do believe I got them down pat. So, why the research, you might ask? Well, there are a lot of recipes out there, but many include buying ready-made jars of mincemeat, which is not an option available to us Yanks. And even if it were an option, I really wanted to try my hand at making my own. I perused many recipes, some called for actual meat, but to be fair, not many. I'm not really familiar with those calling for meat, so I tossed those recipes right away. 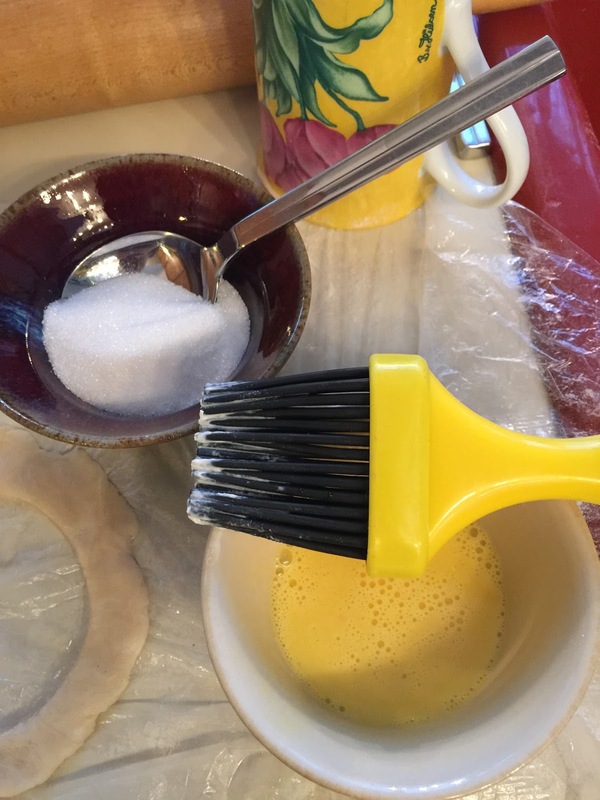 Some called for no suet, and in my research I found that the most traditional recipes did call for suet, which may turn a lot of people off, but not me. After all, M&S pies have suet and damn, they are so good. So off I went to figure out what kind of suet I needed and where in the world I would find such a thing. Lesson number one, no bird suet (I kinda figured that) and the type I needed is beef suet from around the kidneys of the cow. Oh, stop it, I know it may turn some of you off, but trust me here. You don't want suet from the hard muscle areas, only suet from the kidneys and a good butcher will know what you want. After a few calls to local butchers, I found one that processes venison and they use that same suet to mix with the venison to make it more palatable for eating (venison is very lean). So off to the butcher I went to get my very white suet from the kidney area. Side note, it was very cheap, about a dollar a pound. I felt like I'd found gold when I finally had it in my possession, I've now got a stash in the freezer. Lessons two and three, sultanas are golden raisins, at least as far as I'm concerned! And I happily found currents in my grocery store, they are tiny little things, like itty bitty raisins. Oh, and the mixed citrus peel, well I think I fell down a little on this bit, I just bought it in the produce section, but next year I so intend to make my own. To be frank, I'm just not keen on the bizarre fake green and red color of the store bought mixed peel! And then came the search for an awesome recipe that sounded good and traditional and here is the one I came upon from the BBC Good Food website. I've made the conversions from metric to US cooking measurements. Put the dried fruit in a very large bowl with the apples, suet, sugars and spices. Grate the zest of the lemon into the bowl, then squeeze in the juice. Tip in the peel and the alcohol. Mix all the ingredients very thoroughly - it's easiest to do this with your hands. Cover and leave to stand for 24 hours, stir often. Pack the mincemeat into dishwasher-clean jars. Seal the jars tightly and store in a cool place, I put mine in the fridge. 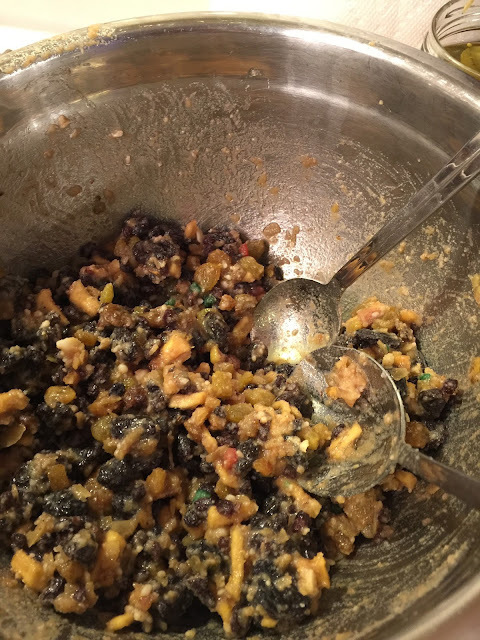 The mincemeat will last from one year to the next, but's best used within 6 months. 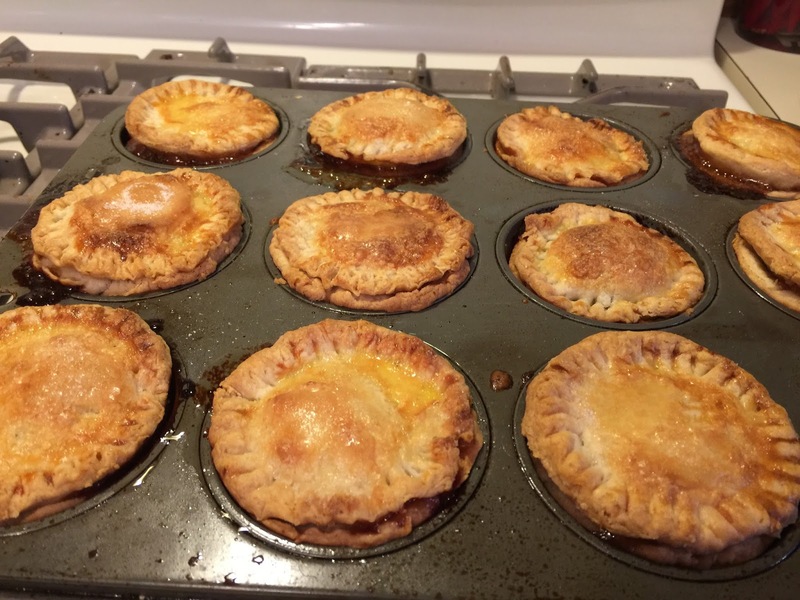 And of course, you'll need a top on these little pies, again using a glass to cut your dough, pop on a top layer of dough and seal with the tines of a fork. I also brushed mine with a bit of egg and dusted the tops with sugar. The proof is in the pudding, as they say, and Jonathan exclaimed they were the best he's ever had. Oh, how many times have I happily heard that from my lovely husband! And I say that with a giggle. Yes, he's really that sweet! 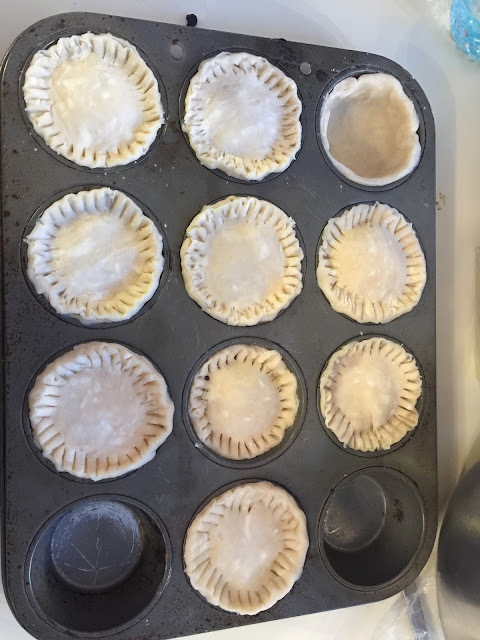 Bake these little pies at 350 for about 40 minutes, keep an eye on their progress, when they're golden brown, they will be done. Enjoy and happy baking, and I hope your mincemeat pies turn out beautifully!